Sometimes the beauty (and the ingenuity!) is not always visible on the surface! 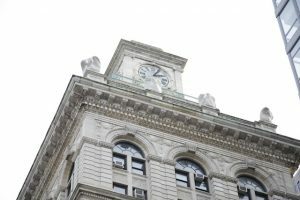 One of the great things about the Former New York Life Insurance building at 346 Broadway is its clocktower, part of a landmark designated by the LPC in 1987. Attributed to McKim Mead and White, this building became infamous as one of the properties de-accessioned by the city. 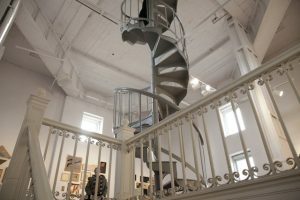 The new owners sought to replace the manually operated clockworks with a digital unit and turn the clocktower into a luxury penthouse. space. The LPC approved alterations that would have privatized the space and eliminated the the mechanical clockworks. After filing suit, the community argued that the interior landmark was being taken. A judge agreed and has since prevented the conversion. This decision is a potential game changer for interior landmarks, but for now, we will just enjoy the victory for all New Yorkers and await the building’s restoration so that NY can once again visit this interior landmark.